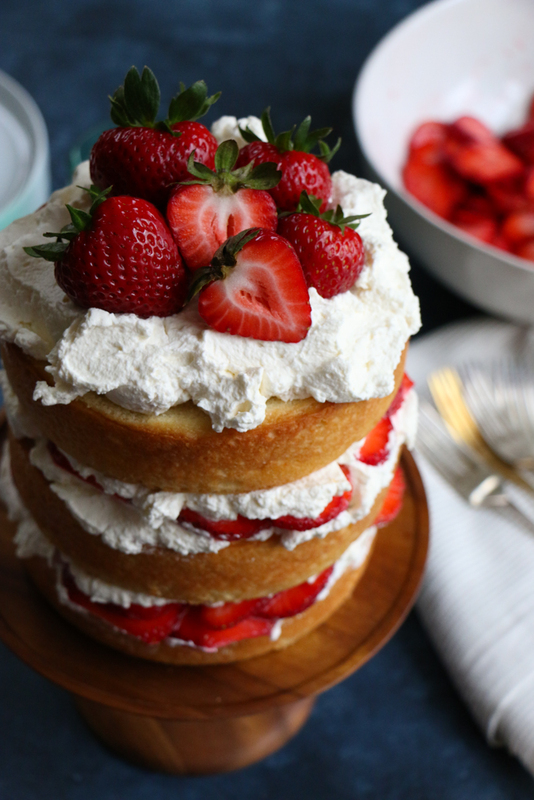 Strawberry Layer Cake with fresh homemade whipped cream and strawberries! 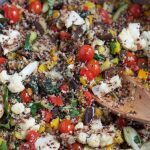 Fresh, light and delicious! 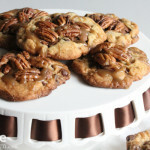 This is sure to be a show stopper at any party or special gathering! Strawberries are in season and I can’t get enough! 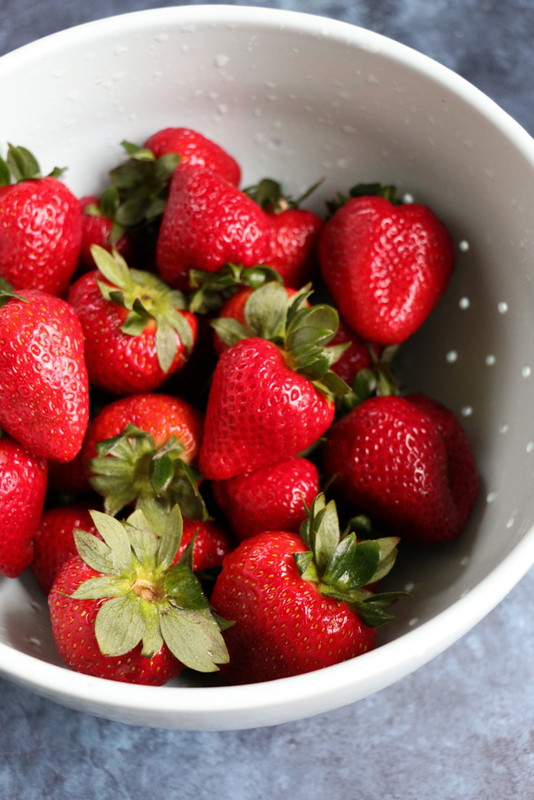 I love tossing them into a salad, baking with them or just popping them into my mouth, strawberries are definitely a family favorite over here. 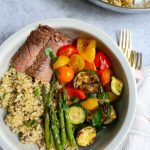 It’s May and brunch season and Mother’s Day is right around the corner! 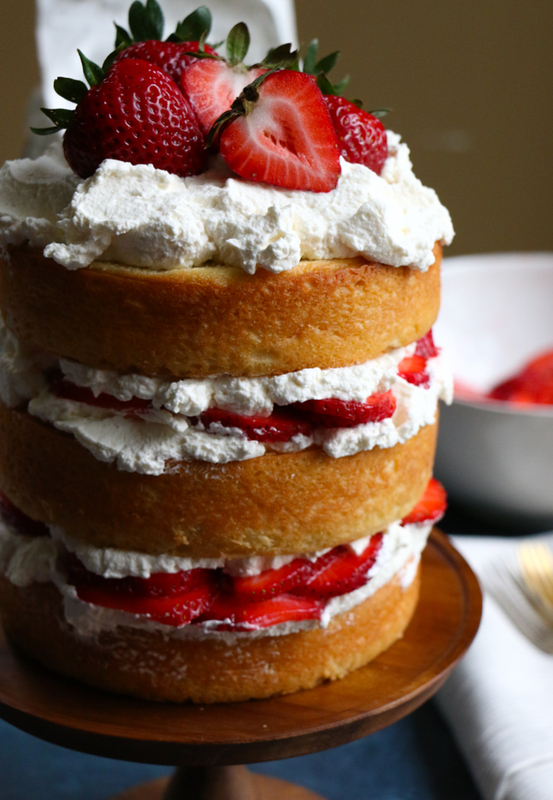 I had these beautiful strawberries and I knew I wanted to bake a layer cake to share with you all. Layer cakes seem to be difficult for a lot of people. I used to find them very daunting and didn’t quite know what I was doing wrong. I couldn’t get my cakes out of the cake pans properly, I didn’t know how to level my cakes and I didn’t know the tips to frosting cakes. 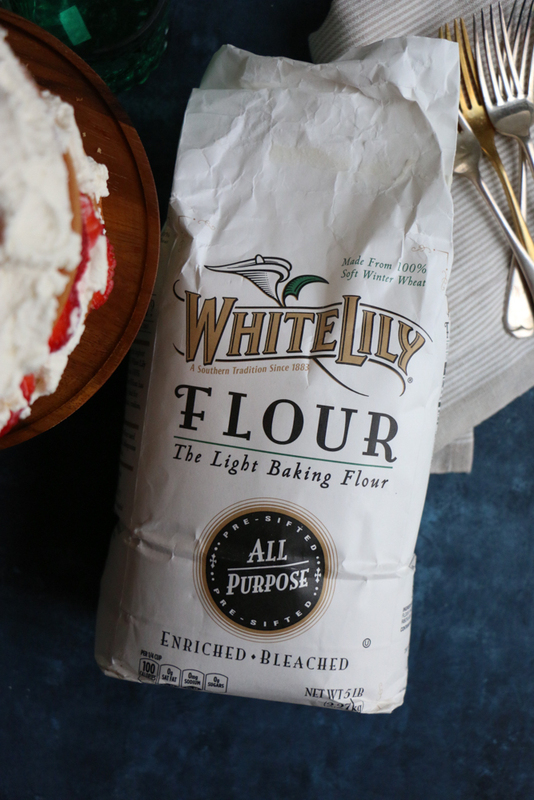 I teamed up with White Lily Flour, this is the brand I use when baking. I love the quality, taste and texture of this flour. And I’ve said this before but it’s great for cakes, cookies, pie crusts, pancakes, brownies, muffins, scones, and pizza dough! You can basically use it for almost everything! Last month I flew to Nashville to record some videos for you guys! Videos all about layer cakes! How to properly measure your flour, how to select the right cake pans, how to level your cakes and how to ice or frost your cakes. There are four videos total and I hope to watch all of them! Here’s the first one. There’s nothing more pleasing to me than baking a cake for someone, baking a cake for a party or gathering or special occasion and layer cakes are so pretty! 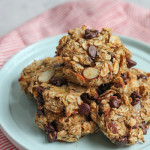 We should all know how to bake one, right?! I went with the naked cake look for my Strawberry Layer Cake, which I love. I love seeing the actual cake layers and the filling in between each cake! So beautiful! I left the layer thicker so the cake would be a little more sturdy . . you can bake a 6 inch cake like I did here, or an 8 or 9 inch cake, totally up to you! And you can keep the layers (bigger or thinner) to 2 or 3, or more! That’s what I love about baking and decorating! You can do whatever you want! 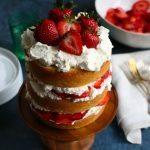 I really hope you check out this Strawberry Layer Cake recipe. . it’s SO GOOD! 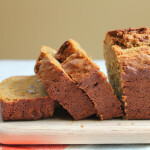 Not too sweet and perfectly moist and delicious! 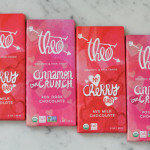 Check out the recipe card down below to see the ingredients! 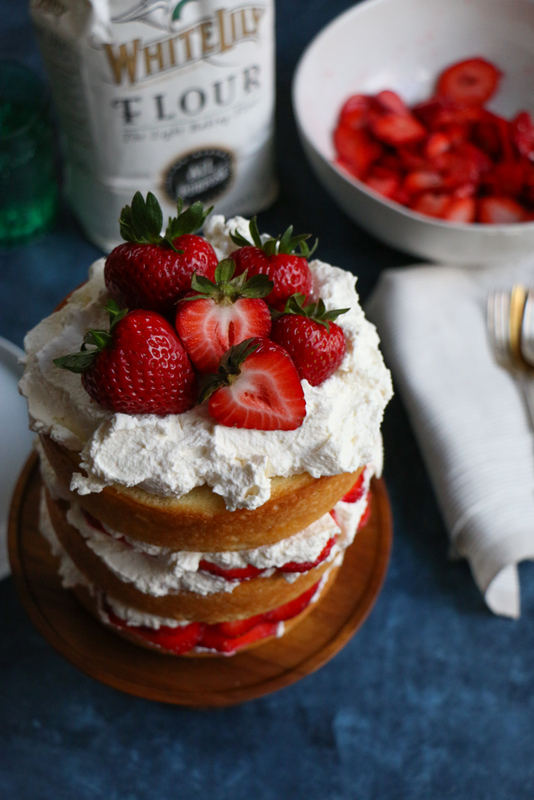 I hope you bake this Strawberry Layer Cake soon! This recipe can make 3 to 4 (6-inch) layer cakes or 2 to 3 (8 or 9-inch) layer cakes, up to you! Preheat your oven to 350 degrees, with rack in center position. Spray and line the bottom of your cake pans with parchment paper and spray again, generously, with non-stick baking spray. Using a large bowl, whisk together the flour, baking powder, baking soda, and 1 teaspoon salt. Set aside. Using your stand mixer fitted with the flat beater attachment, beat together the butter and sugar on medium high speed until pale and fluffy, scraping down sides of bowl as needed, for about 2 minutes. Reduce the speed to medium, and add the eggs, 1 at a time, beating well after each addition. In a separate bowl, whisk together the sour cream, almond milk and vanilla. Going back to the stand mixer, add in the flour mixture, alternating with the sour cream mixture, beginning and ending with the flour mixture. Evenly divide the cake batter between the pans. Bake, rotating halfway through, until tops spring back when gently touched and a cake tester inserted into centers comes out clean, for about 28 to 30 minutes; will vary depending on the size of your cakes. Transfer to wire racks, and let cool in pans for 20 minutes. Run a knife around edge of cakes, and invert onto racks; remove parchment, and let cool completely. If wanting to level or slice cakes in half, chill the cake in the refrigerator for at least an hour. 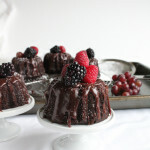 Watch the video to see how we leveled our cakes. You will need a good, large serrated knife. To slice your cakes in half, for thinner layers: use a small knife to score each layer in half horizontally. Then use a large serrated knife to slowly cut all the way through each layer, using the scored line as a guide. While the cakes are baking, sprinkle the sugar over the sliced strawberries in a bowl, mix together and let sit for about 20 minutes. Use your stand mixer fitted with the whisk attachment to beat the whipping cream, sugar and vanilla extract to medium peaks, for about 8 minutes on medium to high speed. 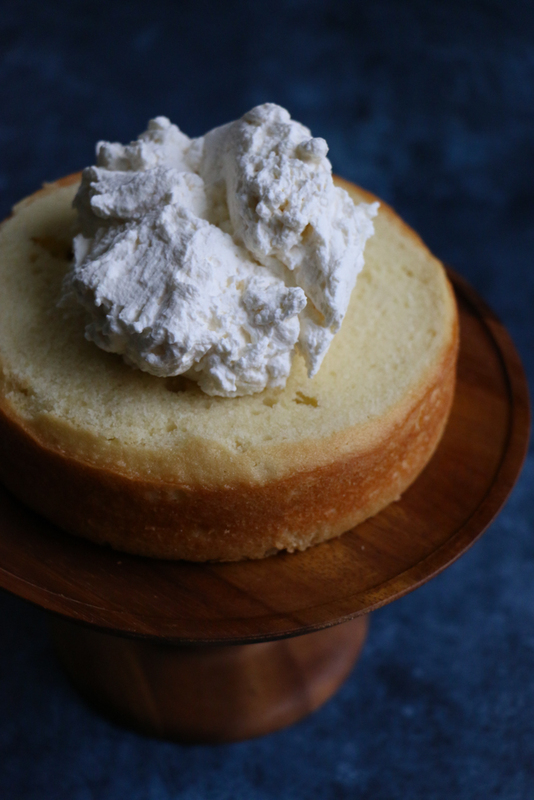 Place one layer of the cake on your cake stand or plate and top with some fresh whipped cream. Top with the strawberry mixture; don't pile on too much because you want to keep the filling a nice even layer so you can continue to layer on your cakes. Repeat until all of your layers are on. When finished: for the very top: top with fresh whipped cream and arrange whole strawberries and one or two that have been sliced in half on the top. This cake can be refrigerated 1 hour to 2 hours before serving. Serve, slice and enjoy! i love baking 6″ cakes! i usually make cake because i want to (rather than for a specific occasion), so i usually don’t need the extra cake. plus i love how the layers come out looking tall and lofty 😍 plus,anything with berries and cream and i’m there! My favorite time of year since strawberries are in season. This looks so good Alice! This is my favorite kind of summer cake alice! Looks just beautiful! Such a pretty cake, those strawberries are gorgeous! So into 6 inches’ cakes ! Thank you so much ! What a pretty cake, Alice! I love those gorgeous layers. Wish I had this for breakfast! I can’t WAIT for strawberries to be in season here! 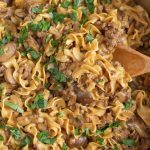 We’ve still got at least another month or two unfortunately, but I’ll be ready with this recipe for that first batch! Gorgeous Alice! 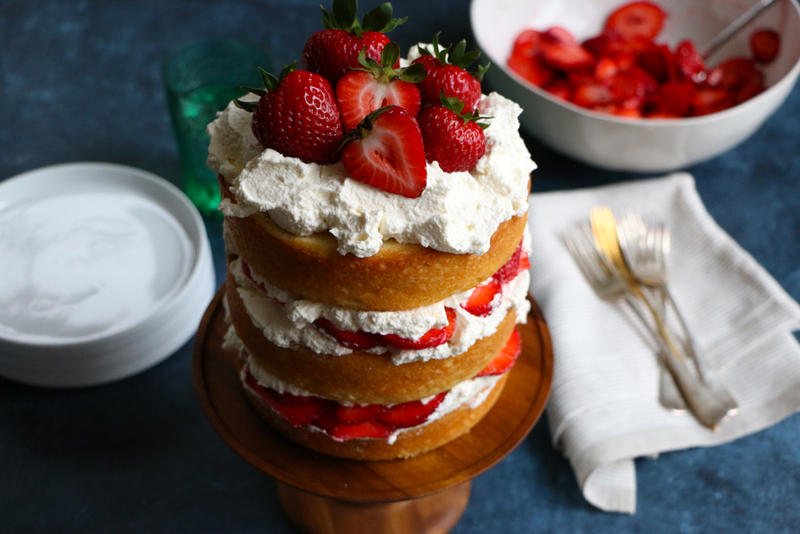 What a beautiful naked layer cake and YES to strawberry season! 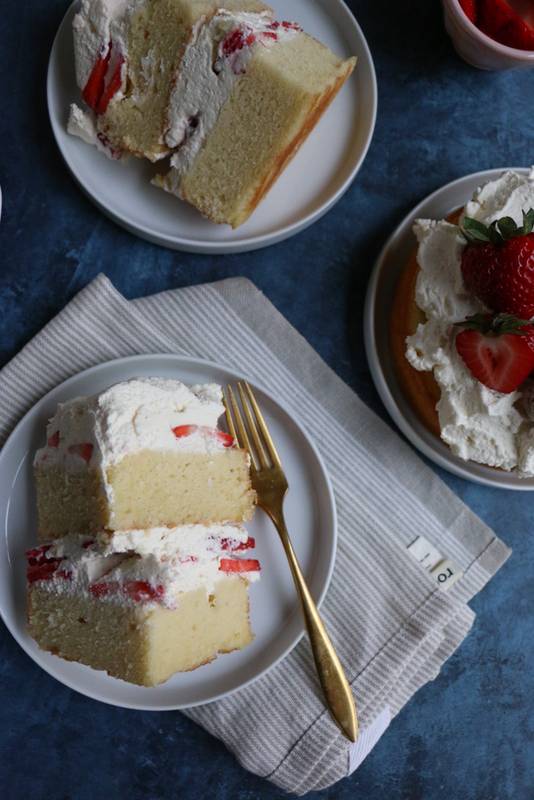 I adapted this cake recipe and made it twice already and it is very good! I added my own spin to the rest of the cake, but thank you for an amazing cake recipe dear! 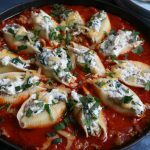 Hi, I was wondering if this recipe would be ok to bake in a 9×13 inch pan, or would I have to double the recipe? Hi Maria! Yes, you can and you should definitely have enough cake batter! Let me know how it goes!